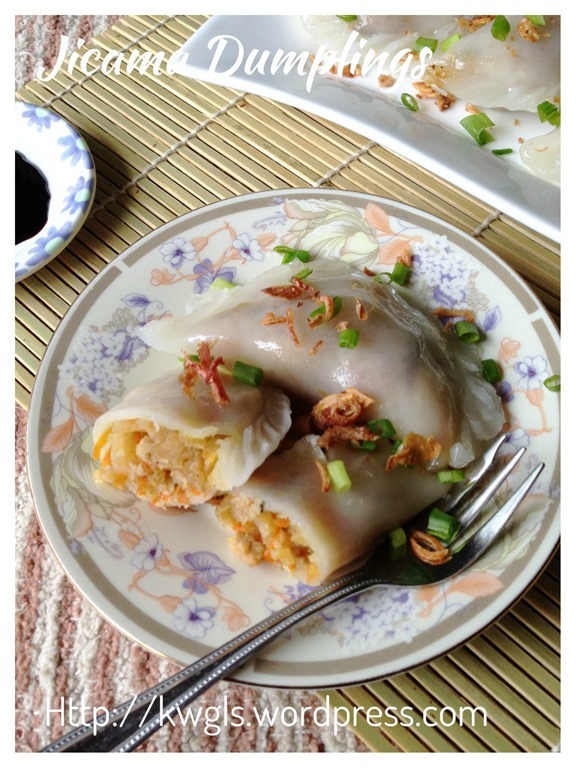 In Singapore, it is called Soon Kuih (笋粿） or literally translated as bamboo shoot rice cake. 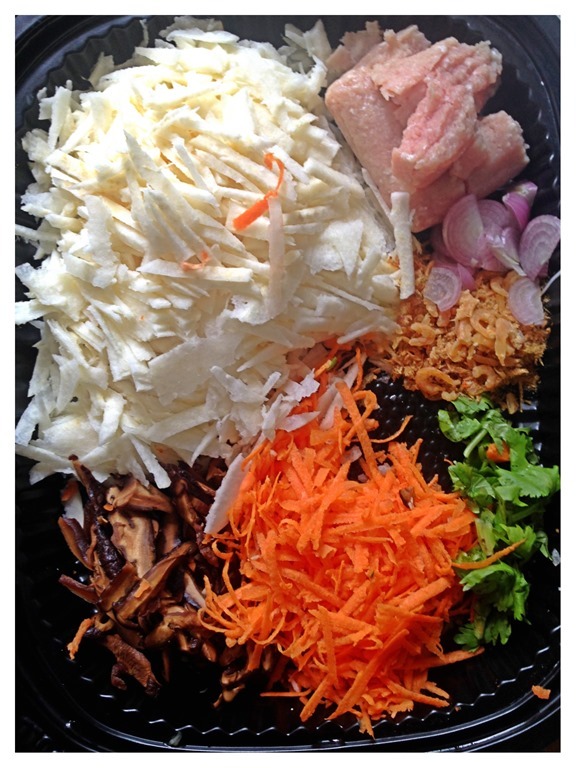 Based on the name, it is expected that the filling of the rice cake is predominately comprises bamboo shoots.. 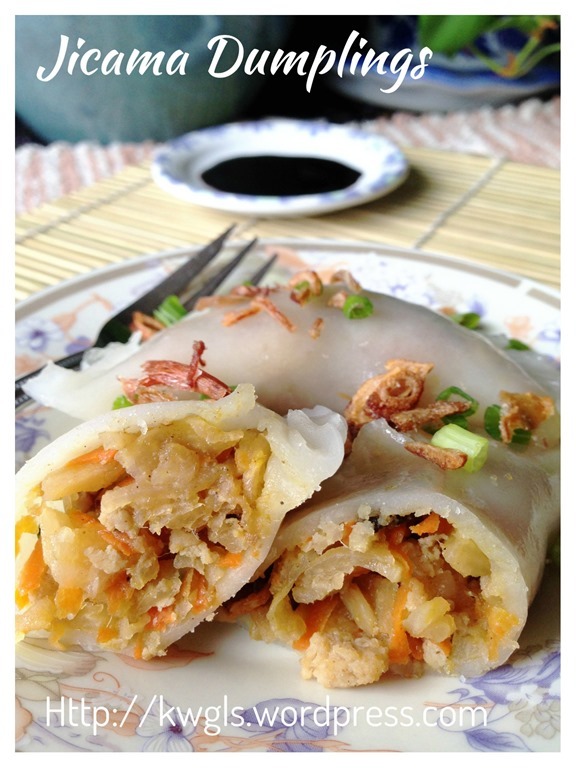 However, that is not the case, most of the this Teochew dialect delicacy used jicama as the fillings.. 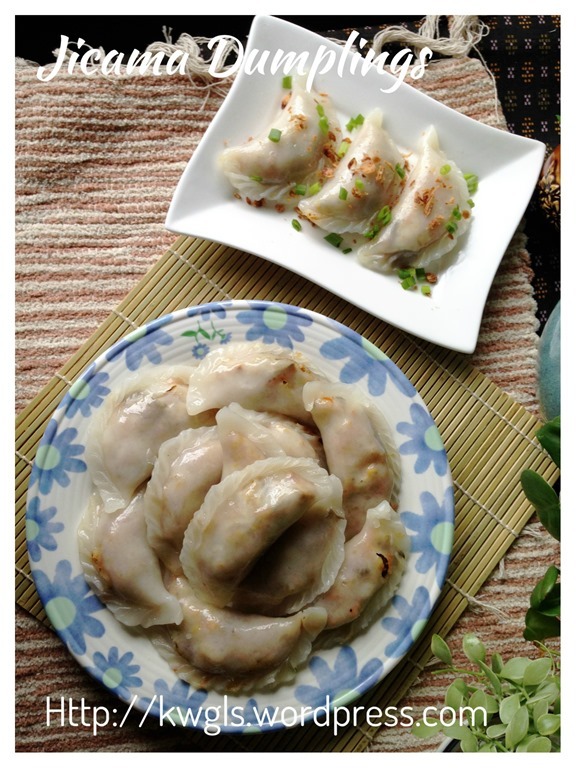 Possibly due to localization of cooking ingredients or influenced by the Hakka’s Cai Kuih (菜粿） or vegetable rice cake, most stores that sell this are using jicama as the main ingredients… In certain stores, there are also fillings using Chinese chives (韭菜）or even salted vegetables. 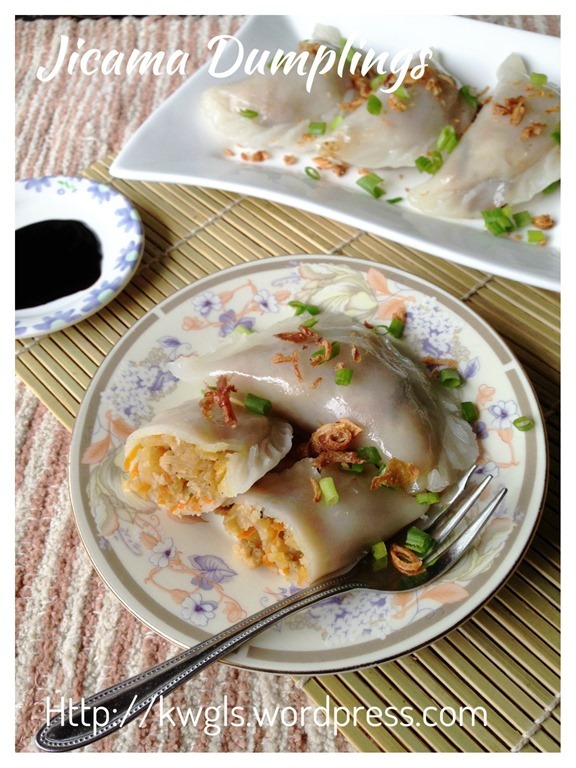 The preparation of this rice cake is not difficult and most recipe will concentrate on the “skin” or crust recipe- the rice dough used to wrap the fillings. Basically, it is the optimum flour mix between types of flours and starches that yield the softest yet not mushy skin..
On one extreme is the usage of 100% rice flour as what is described in the Baike definition above and this will give a white colour, non translucent crust. However, it will be overly soft, difficult to shape and have a tendency to break. On the other extreme is using 100% starches such as tapioca starch, wheat starch, potatoes starch, corn starch and etc. That will yield a very chewy texture and can become hard when the cake is cold. That, however will yield a transparent crust.. The ideal will be mixture of these 2 extremes with the right amount of water used to knead the dough until it is a pliable dough suitable for shaping. I have used 40% rice flour and 60% wheat starch for this recipe skin and I am generally pleased with the ratio. 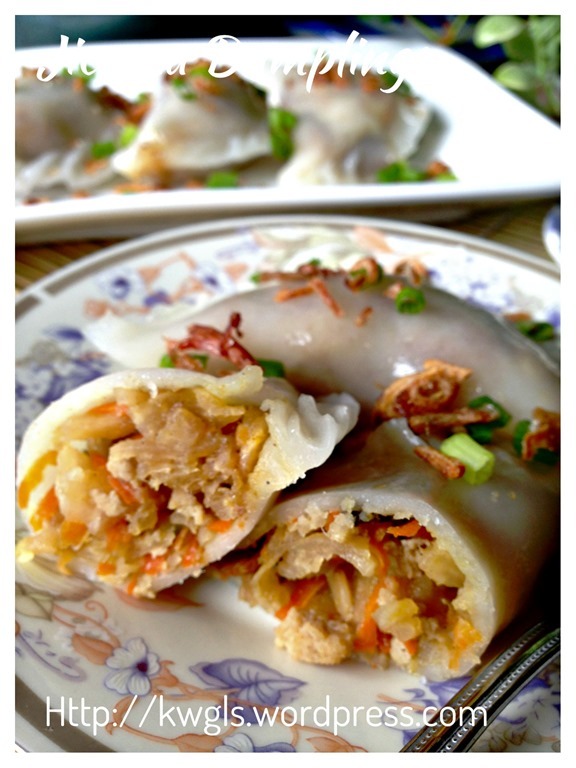 Easy to wrap and the texture is just nice and suits my taste buds. 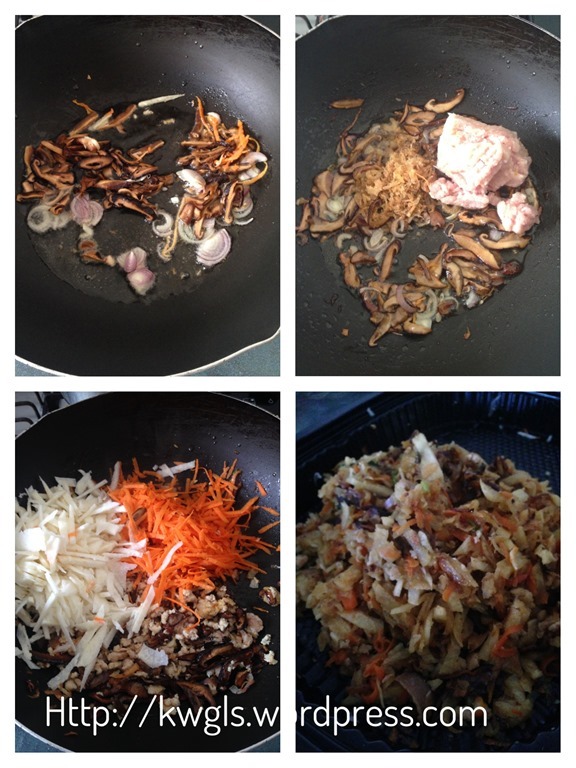 In a frying pan, heat up cooking oil and sauté the onion and mushrooms until the onions turn light brown. Add the minced meat and stir fry for 2-3 minutes or until the meat is half cooked. Add the shredded jicama and red carrots, stir fry until the vegetable are soft. No water shall be added as vegetable juice will be produced in the process of deep frying. Add seasoning (oyster sauce, light soya sauces, salt, sugar and white pepper). Off the heat, dish up and let it cool completely before the wrapping. In a mixing bowl, mix all the dry ingredients together. Use a chopstick to stir until well mixed. Add in the hot water gradually and use the chopstick to stir until it form lumps. 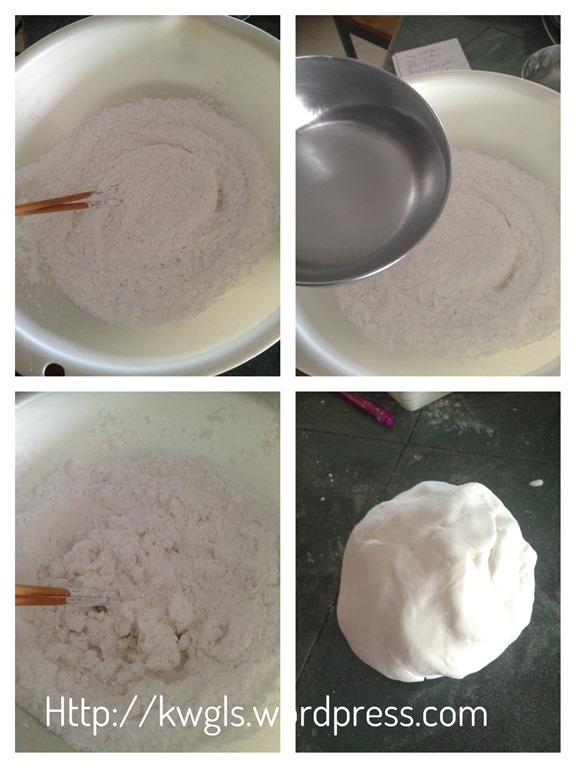 Gradually add in the cold water and use your hand to knead the dough until it form a pliable dough. You may not need to add all the water if you find that the dough is comfortable to handle. 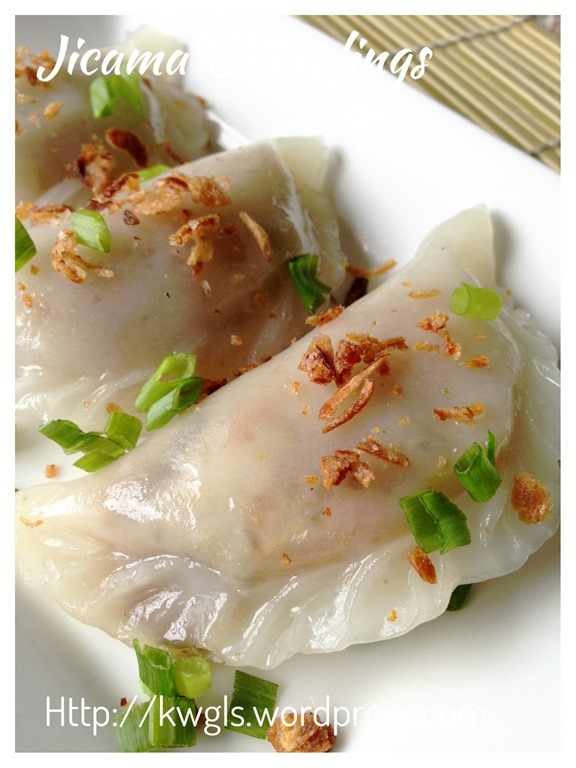 If it is too wet, add in either rice flour or wheat starch tablespoon by tablespoon. If too dry, add water teaspoon by teaspoon. Divide the dough equally into 20 portions. Shape round and set aside. Take one dough, use a rolling pin to roll it as thin as you can handle. Transfer the rolled dough to your palm and put a tablespoon of fillings on top of the rolled dough. Seal the edges and pleat if you wish too. 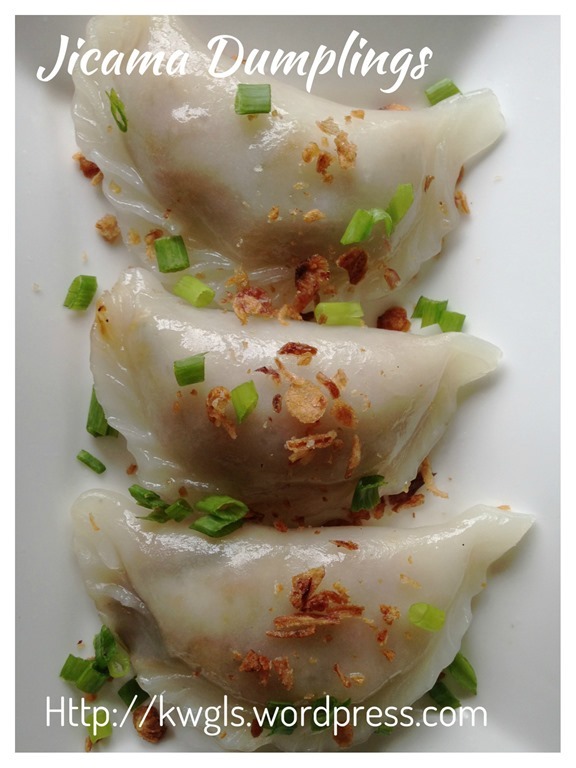 Traditionally, there is no pleating for this dumpling. 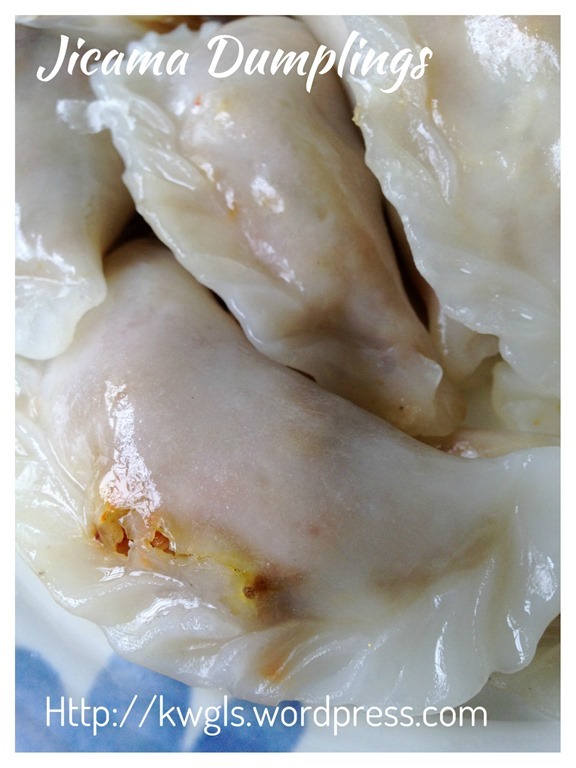 Transfer the wrap dumpling to a greased steamer tray or steamer tray lined with baking paper. Steam the dumpling for 10 minutes under high heat. 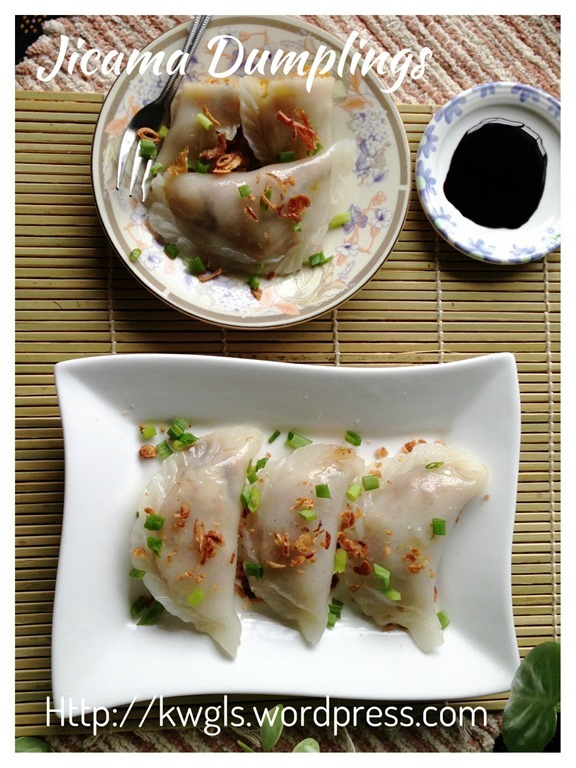 Once steaming is done, brush some cooking oil on top of the dumpling. Best served with sweet sauce , chilli sauce and garnish with some chopped spring onion and deep fried shallots. Don’t admire me about preparing these dumplings. You can do that too.. Remember, texture of the skin is very individual, for more chewy and transparent skin, used more starches. 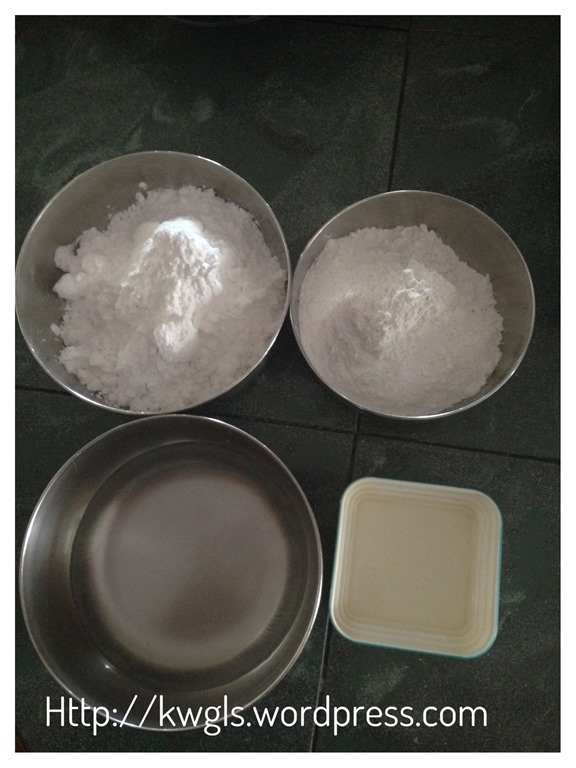 For skin that are soft and non transparent, use more rice flour..You will know how to adjust after your first attempt. If you don’t have jicama in your country of residence, you can use chives or salted vegetable. The way of preparation is the same but for salted vegetable, you may want to soak it before your stir frying. 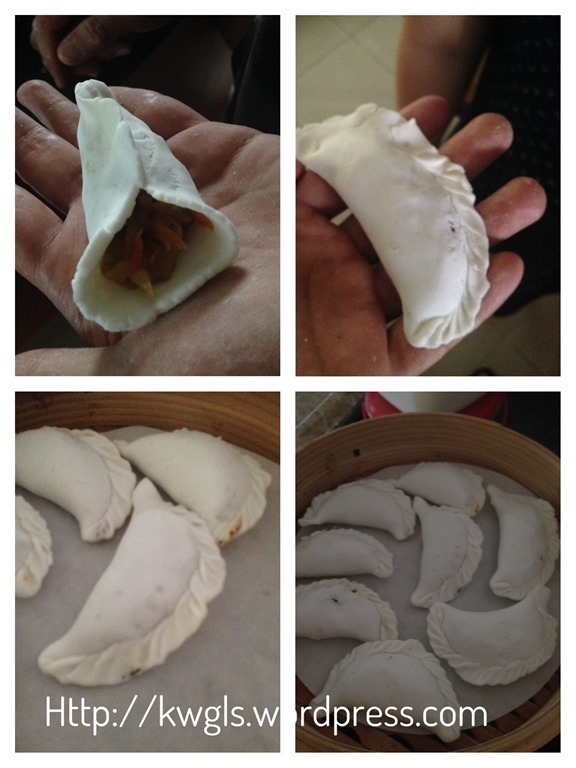 This entry was posted in Chinese and Asian Cakes and Snacks, Food Preparation Series and tagged 8, chai kuih, 笋粿, 菜粿, 菜板, GUAI SHU SHU, Guaishushu, kenneth goh, postaday, soon kueh, soon kuih, teochew soon kuih. Bookmark the permalink. Thanks for your kind words. 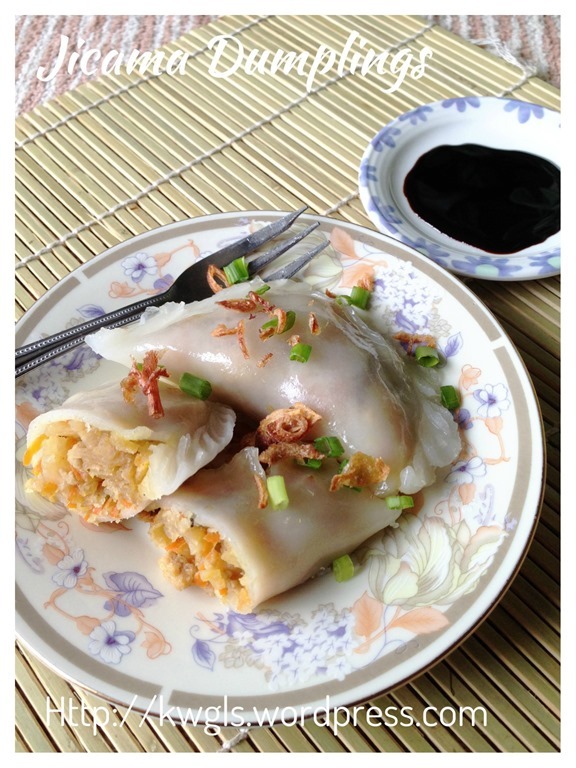 Kuching version usually are whitish colour prepared using the rice flour.. Apparently this kuih is very much a mix of Teochew and Hakka origin and I presumed Sibu has not had many Teochew and Hakka there… Haha. With this recipe, possibly you can try to prepare yourself? I am sure you and your Mrs. can..
Do you know if you can freeze them cooked or uncooked? It probably won’t last long in the fridge. Hi kenneth tried ur recipe. The fillings taste great but the skin was abit disappointinh. I dont know what went wrong but its not soft n chewy. I had to add more wheat starch cos the initial mixing of hot water makes the flours into a paste. Do you know if theres a difference using hot or boiling water? I didnt even add half of the cold water and it has formed a paste. Reblogged this on juliaallwithpurple 。紫。。念。。。芳华. Thank you for the scrumptious recipes on yr Blog. 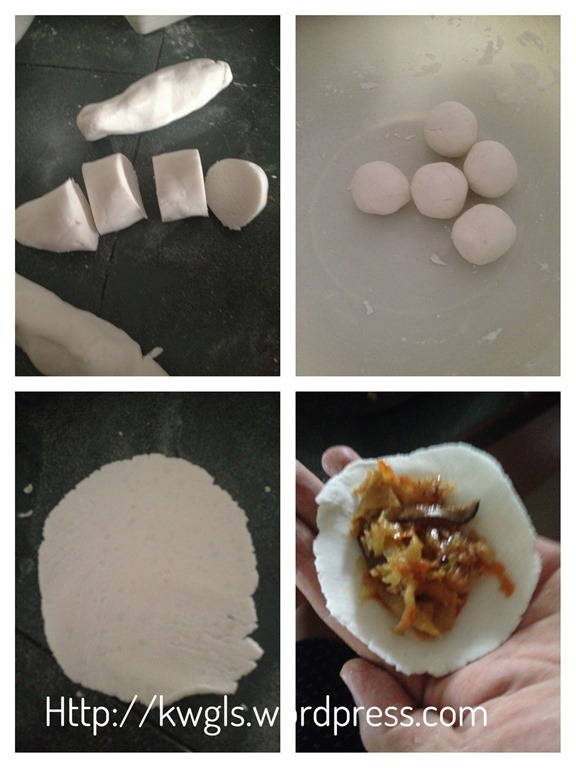 Today my sister n I made soon kueh n it was so good. As mangkwang is so expensive in Perth we made a carnivore’s version with more pork mince and added fried towfu strips as well. We also omitted carrots – reckons that’s fusion haha! 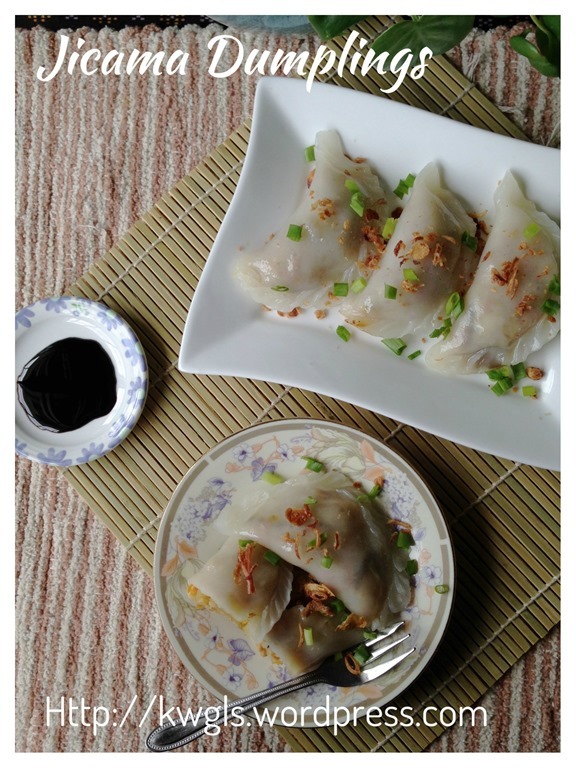 Yr recipes suit our Teochew tastebuds! You definitely nailed the skin proportions of wheat starch n rice flour! May I know what is wheat starch?